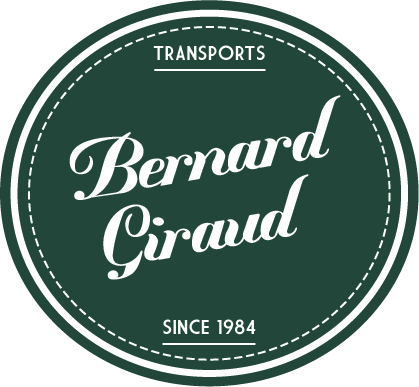 Transports Bernard Giraud is a family-owned and operated business specialising in event logistics and all-round transport in France and abroad. Bernard Giraud created the company in 1984. We initially specialised in temperature-controlled transport, particularly of fruit and vegetables from Spain and the southern region to Great Britain. With the development and evolution of transportation, Bernard Giraud has been committed to the management and operation of his company since 1994. The company started diversifying its activities in the events sector in 2006, serving famous musicals such as, The Lion King, Zorro and Cabaret. In 2014 his son Thomas joined him to continue developing the family business. Located close to the main highways of Paris, we have been providing quality, personalized service since 1984, gaining the trust of our customers. We provide a hotline to ensure the security of your shipments. We are at your disposal for further information or any other requirement! We recruit drivers who are passionate about their profession, fully involved and contribute to the quality of service we offer. We have been active in national and international transport for over 30 years. We offer professionals concrete, reliable and effective solutions that can be customised to their needs and requests. Located in Voulangis, near the main axes of Paris, we serve all of France, and can also travel to Great Britain. Benefit from a service tailored to your needs. Our team is at disposal for any query. We transport equipment, goods and hazardous materials with considerable volumes. Our services also include the drafting and clearance of customs procedures linked to the specificities of the service. For event professionals, we offer logistics and transport services perfectly adapted to their activities. Trust us to transport your goods and benefit from a complete, tailor-made and quality service.